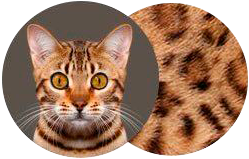 Bengal cats cattery "Royal Bengal"
Welcome to Royal Bengal Cattery. 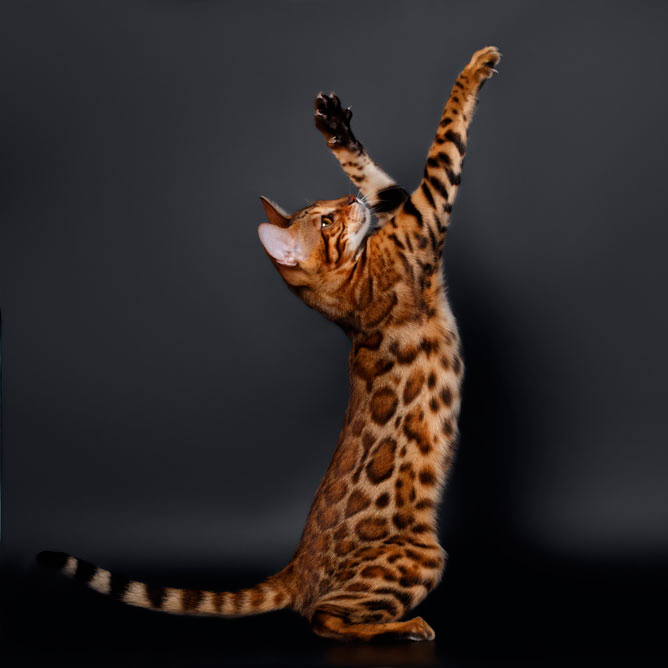 We appreciate your interest on our Bengal cats and share your enthusiasm with respect to this fascinating breed. 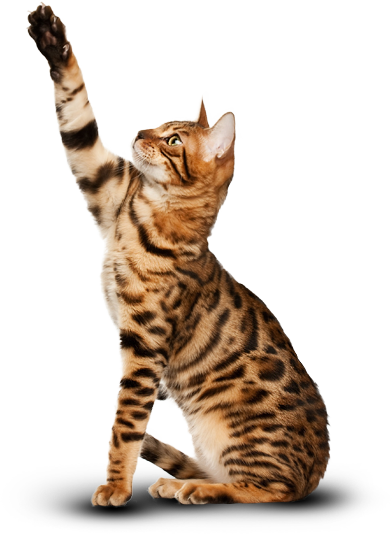 In addition to this site, Royal Bengals Cattery owns and operates a Bengal cattery which only breeds Bengals. 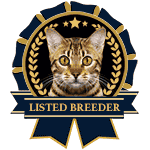 We fully test our Bengal Studs and Queens and we guarantee our kitten’s health free from genetic diseases.We are a family owned, cattery located in Maryland. All of our Bengal Cats are TICA registered and we are a member in good standing with (TICA) The International Cat Association, (TIBCS) The International Bengal, (WCF) World Cat Federation. Our breeding program, which began in 2015, is focused on producing healthy, happy, cutting edge Bengals with excellent type and large, colorful rosettes. Royal Bengal Cattery cats has the best health guarantees for the Buyer. If you decide to buy a healthy Bengal kitten then you came to the right place. 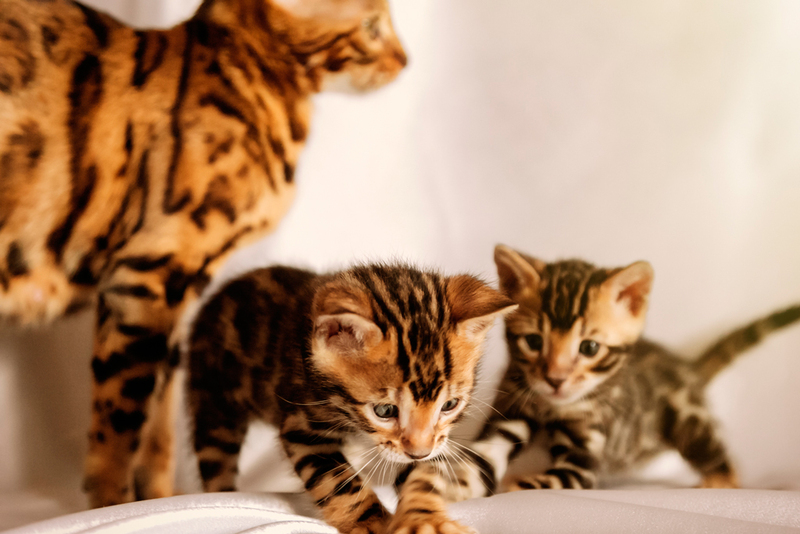 All of our Bengal kittens are raised with love and attention in constant contact with people and children. They are perfectly socialized, brought up accustomed to using the tray and scratching. All of our kittens are ready for the new home in 12 weeks. We have kittens with the best breed characteristics at affordable prices. They are located in Maryland – USA. We raise the kittens among our family, so they are very sociable and will easily adapt to their new homes. We let them play freely around the house and with our children. We are interested in quality, not quantity. The process of becoming an owner of Bengal is simple. Ground color can be all shades of brown. Brown to jet black markings. Green or gold eyes. 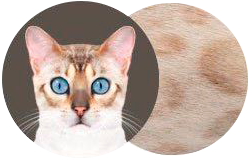 A very light white cream color, dark or light seal markings, dark seal brown tail tip, blue eyes - always. Ground color can be dark grayish/brownish or carbon colored. 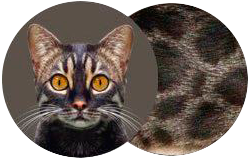 "Zorro" markings with white goggles around the eyes and a dark charcoal mask. Bengals are among the most exotic and coolest domesticated cats out there. Bengals are famous for their "like a dog" behavior. Bengals are known as very distinctive, intelligent and loyal cats with a great character. They are smart enough to be trained and able to walked on the leash. Bengals are hypoallergenic, meaning that most people allergic to cats will not be affected by them. 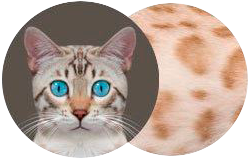 Bengals short pelt with beautiful leopard spots gives minimal shedding and feels like velvet when touching. Bengals have awesome personality and are highly energetic. Kids love to play with them. Bengals are considered as a healthy breed with only few genetic issues related to most pure breads. Bengals are the size of a medium-large household cat.